HDGraph website : welcome ! HDGraph helps you to free disk space : it finds for you the largest folders on your drive. 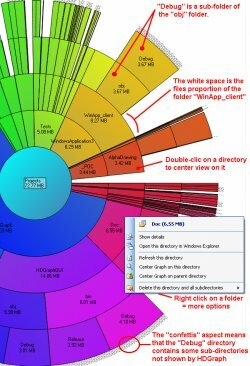 It's a free tool allowing to graphically display the hard disk space usage : it shows all the directories and subdirectories of the hard drive on a single graph, allowing to see the largest directories at a glance.